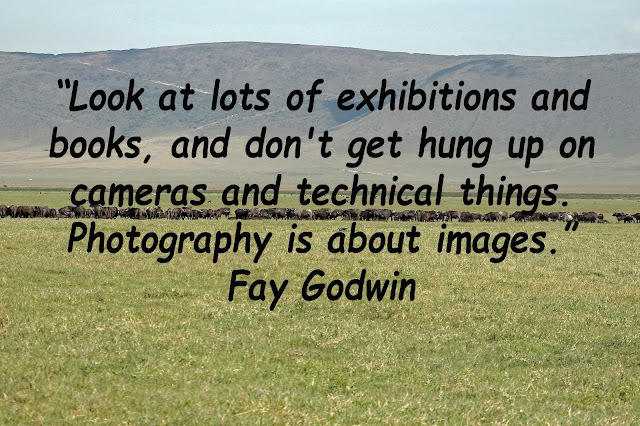 Godwin was introduced to the London literary scene where she produced portraits of dozens of well-known writers, photographing almost every significant literary figure in 1970s and 1980s England, as well as numerous visiting foreign authors. Her subjects, typically photographed in the sitters' own homes, included Kingsley Amis, Philip Larkin, Saul Bellow, Angela Carter, Margaret Drabble, Günter Grass, Ted Hughes, Clive James, Philip Larkin, Doris Lessing, Edna O'Brien, Anthony Powell, Salman Rushdie, Jean Rhys, and Tom Stoppard. After the publication of her first books—Rebecca the Lurcher (1973) and The Oldest Road: An Exploration of the Ridgeway (1975), co-authored with J.R.L. Anderson—she became a prolific publisher, working mainly in the landscape tradition to great acclaim and becoming the nation's most well-known landscape photographer.